KnightS* Gaming are a Dutch team who certainly made a splash so far in the SC2ITL. Being one of the underdog teams going into the playoffs it is going to be interesting to see how they will fare against RO16 opponents Love Your Girlfriend who have recently carved up a monstrous roster. Without a single Korean to their name KnightS* will have to pull out all of the stops if they want to take down their RO16 opponents, never mind making it all the way to the Finals. The main players to look out for are aGaham, RainMan, Mobywan and Sjaak - though the remainder of their roster are definitely not far behind in skill. Most impressively Sjaak almost pulled off a reverse all-kill against AT-Gaming, taking down uThermal in his streak. They are no strangers to pressure as they won the Dutch Starcraft Team League in 2013 at an offline event. If you know much about the Dutch Scene you will quickly recognize that this is no easy feat as they overcame LowLandLions in the finals to take the victory. This experience will be able to carry them some distance, but will it be enough? It's not every day you go up against a team with a Blizzcon champion in their roster. Love Your Girlfriend are definitely going to be their greatest challenge to date and Piet Friet, the KnightS* manager, agrees in this short interview we got with him. Wardi : To many KnightS weren't necessarily one of the obvious teams to make the playoffs - how did you feel going into your group? Piet Friet : We were pretty confident we had a good chance to actually win the group if we could defeat uThermal in our match against AT-Gaming. Most of the other teams had decent players that didn’t really stand out. Our match against AT-Gaming must have been great for the neutral viewer but was nerve wrecking for the managers. uThermal won 3 games in a row for AT-Gaming before dropping to Sjaak who nearly made the reverse all-kill. During the final match it looks like he was winning the game until he didn’t recall enough units back to prevent the base race. In the end Sjaak came one hit immortal shot short of taking down the final building before dying to mutalisks. Wardi : Love Your Girlfriend will be the first match and following this Alien Invasion. It is a tough road with mutliple Koreans in the way - how many of them can you take down? Piet Friet : It depends how the players feel at the match day itself. Normally players like Genius and Tassadar should make short work of our team. However when Sjaak or RainMan has a good day they can proof to be a worthy opponent. I’m not necessarily surprised we are facing Korean professional players at this stage of the tournament but more how the other teams find funds to attract those names without large companies backing them up. Wardi : Tell us a bit about your team in general and which of your players we should look out for. Piet Friet : KnightS* Gaming was officially founded back in 2003 as a Call of Duty 1 team before expanding to other games. KnightS* kept facing the same problem time after time. We have a great eye for talent but not the connections and funds to back them up financially. This is also the case for our current team. Without financial support we managed to set up a team with some talented players. The best examples are hjop (retired), RainMan and Sjaak who were/are solid top 100 grandmaster players. Wardi : Do you have any goals for your team in the coming months? Piet Friet : At the moment KnightS* is having some difficulties as we are not capable of finding companies to back us up financially. This way we can’t sign new players to keep the team in fighting shape as players have started to become very greedy over the past few years. Esports Club Visualize came with a solution as we made an agreement where they will take over Sjaak and RainMan and provide the right support while still allowing them to finish the current tournaments with KnightS*. In addition they offered a partnership for the upcoming Dutch Starcraft Team League. So as for our goal – we are aiming to perform well in the Dutch Starcraft Team League. Any shoutouts/sponsors/anything else you wish to mention? Piet Friet : Shout-out to everyone who supports us, especially Nafy and Yo On. 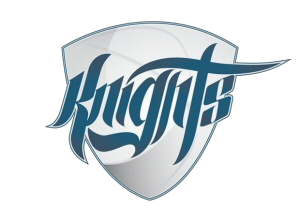 Some interesting thoughts from KnightS - hopefully they will be able to find the support they need in the coming months to restrengthen their roster and to continue competing.